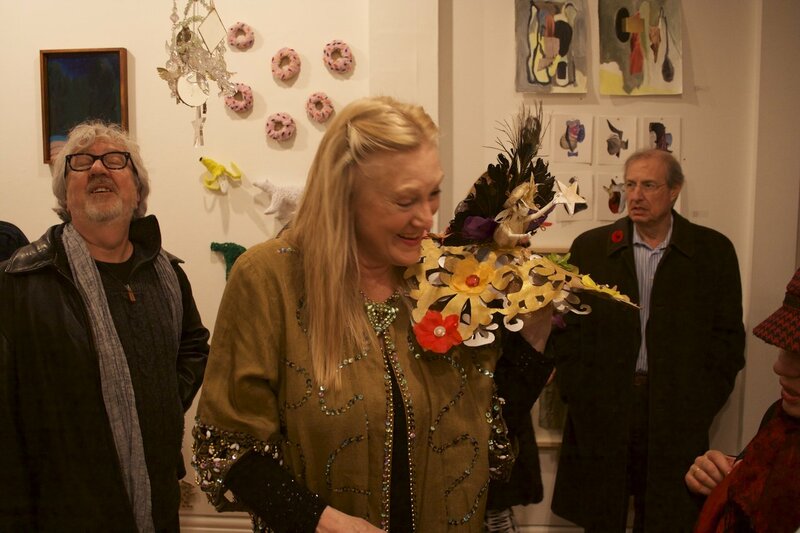 The opening of Christmas Spice, a group show, at Paul Petro Contemporary Art on December 4th, was a wonderful experience. The opening felt as if you had walked into a friend’s house and were attending a Christmas party; the spirit was truly in the air. 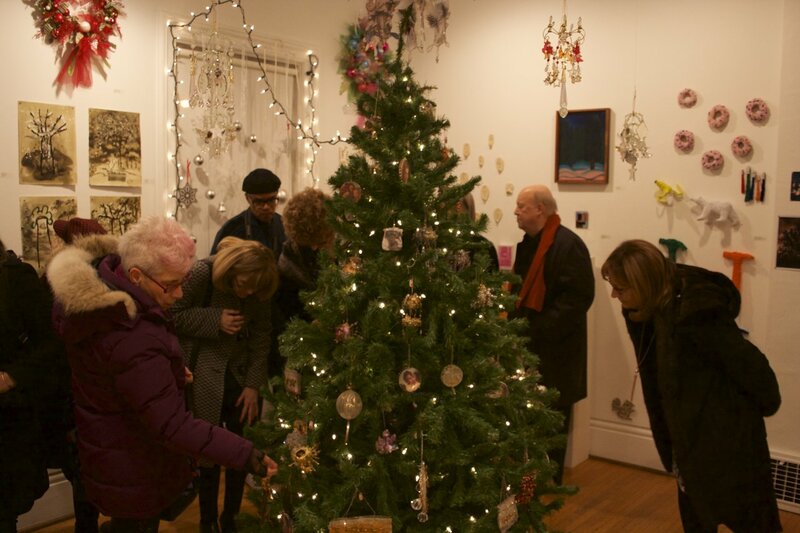 What amazed me the most were Jaqueline Treloar’s beautiful pieces covering the tree. 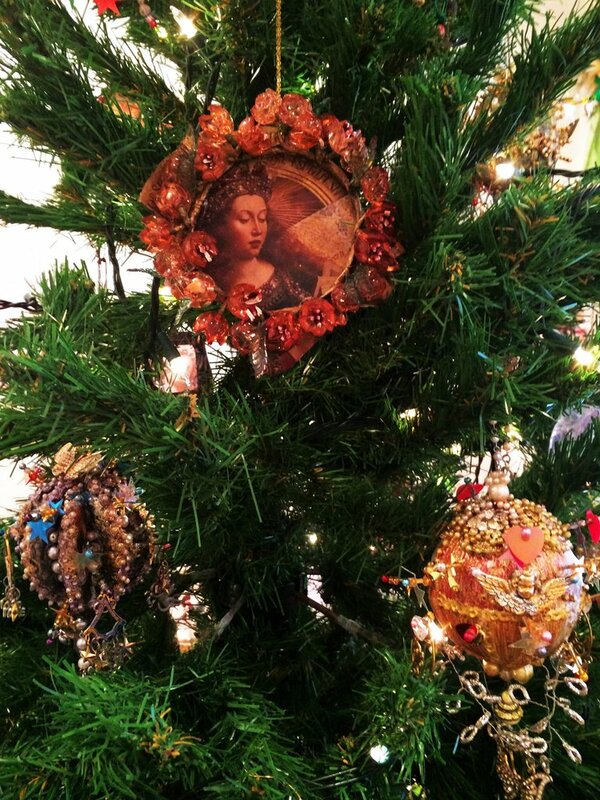 “Baroque Ball”, a collection of tree ornaments, is something to be taken in. The care and precision of each piece comes fully through when looking at them closely. 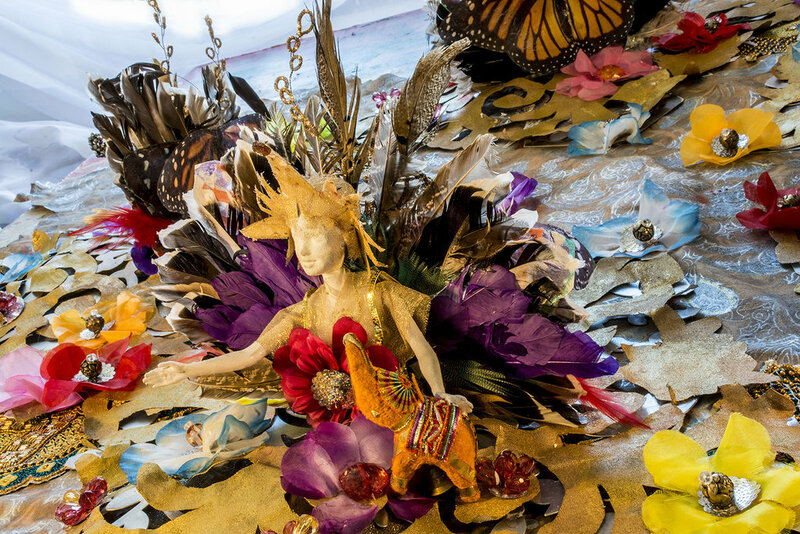 From “A Gathering of Feathered Friends”, through the chandelier or “star” on top of the tree, to “Barbie Doll Angels Tea Party”, which stands in for the tree skirt, this installation is one of sheer elegance. 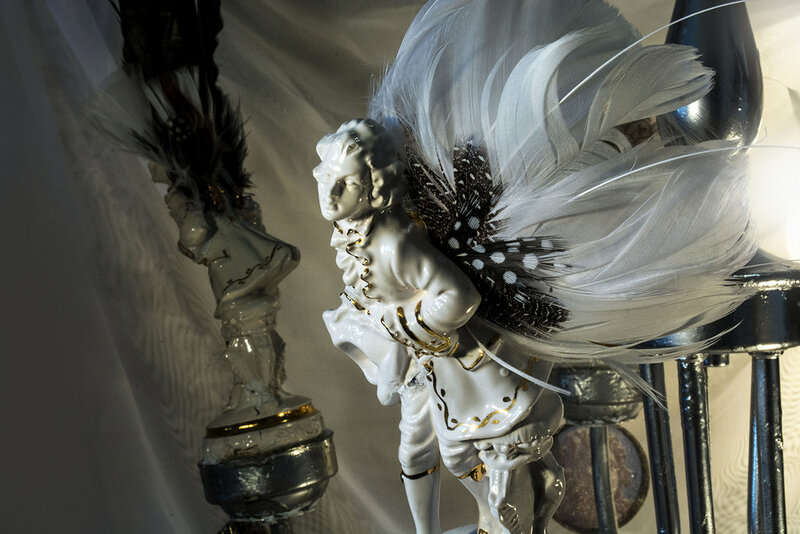 The baroque angels that are featured in many of the ornaments really bring out the feeling of strolling through Italy and coming across fountains and statues in the piazzas or the paintings in its many churches. The colours are vibrant. Each piece has so many intricate details, that when viewing them closely you can see the beadwork and fabrics seamlessly come together. The fabrics on most of the pieces are shear and light shines through them to enhance the image, really bringing them to life. Treloar must put an extraordinary amount of work in each piece and it shows. I could not help being taken with every one of them. Even the ones I thought I had looked at a couple times would keep surprising me with new details that made it such a joy to return to them. I spoke with a few guests who are familiar with Treloar’s work for years and they all agreed that these were some of her finest creations. The items were selling fast off the tree as some people purchased two or three at a time. Jaqueline Treloar said how much the project meant to her while putting it together this past year. I also asked Paul Petro – who chooses a different artist each year to decorate the gallery’s Christmas tree – why did he decide to ask Treloar this year. He told me a funny story about how Treloar had done some work on a shirt for him so he knew her pieces would suit this show nicely. Indeed, having the chance to see her work was extraordinary as photos do not do them justice. There are so many small features that can only be appreciated up close and personal. 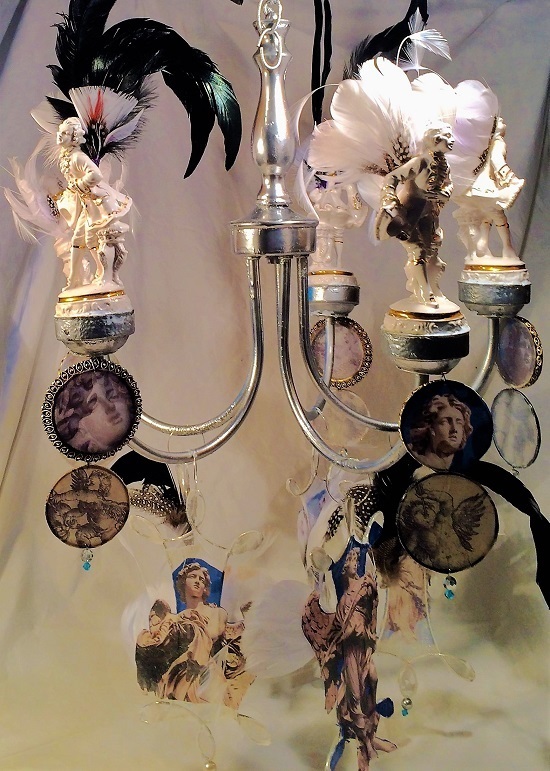 *Exhibition information: The Primum Mobile of the Ninth Sphere of Heaven in Dante’s Paradiso and the Abode of Angels – theme of the Christmas tree, December 4 – 19, 2015, Paul Petro Contemporary Art, 980 Queen St West, Toronto. 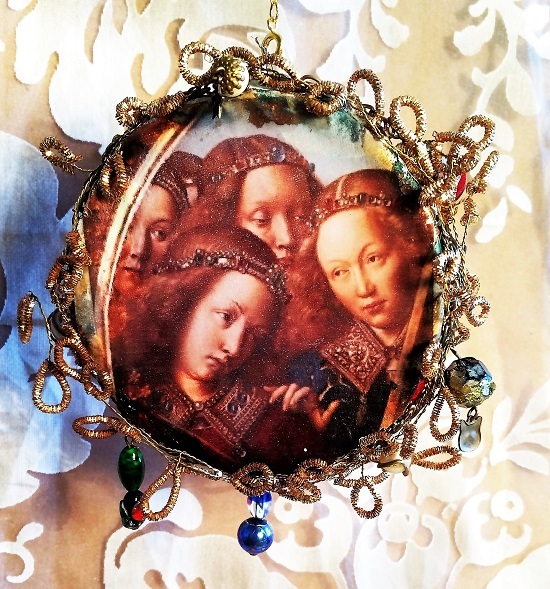 Gallery hours: Wed – Sat, 11 – 5 p.m. Your work looks absolutely amazing! Great job!